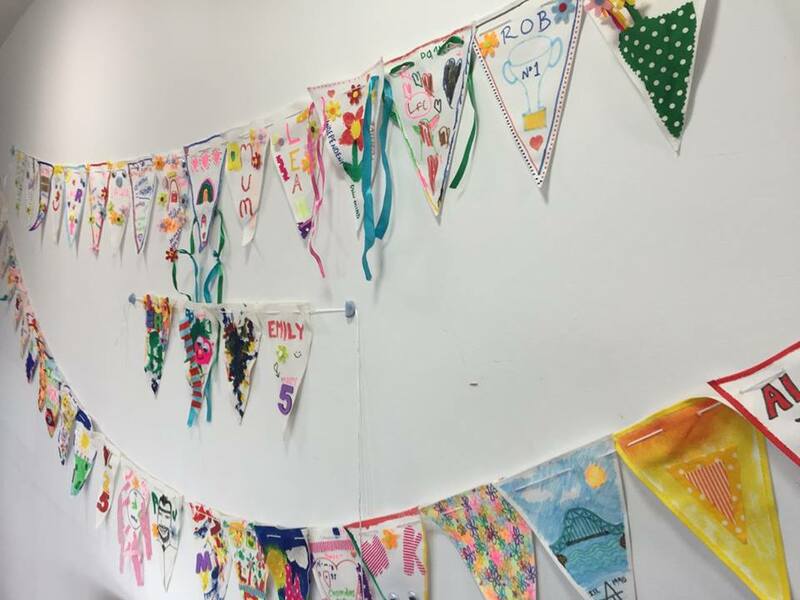 ​Coinciding with World Down Syndrome Day on the 21st of March, myself and Leah Jones ran a free drop in activity at The Brindley arts centre where visitors were invited to create their own celebratory bunting as part of a unique arts display. 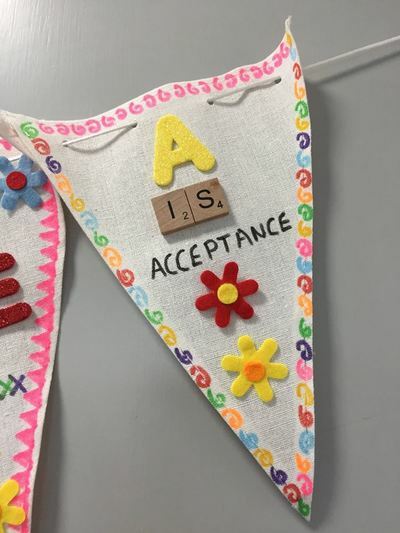 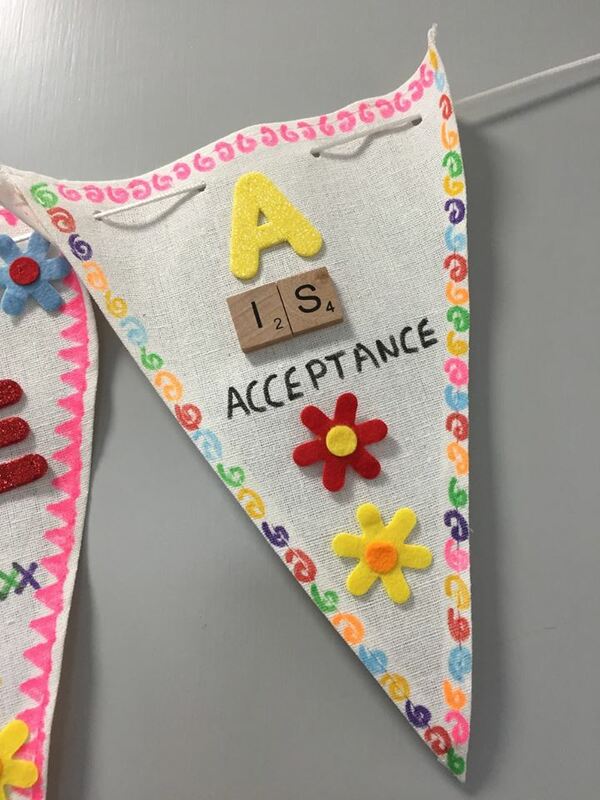 This event is all about celebrating the lives and aspirations of people who have Down Syndrome, through creating a piece of bunting. 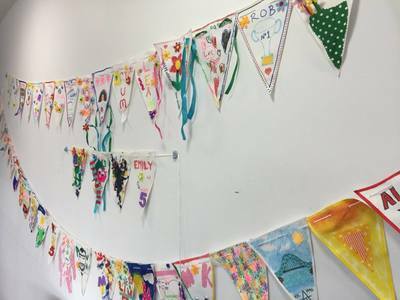 Bunting is a decoration often used at parties which symbolises celebrations and happiness. 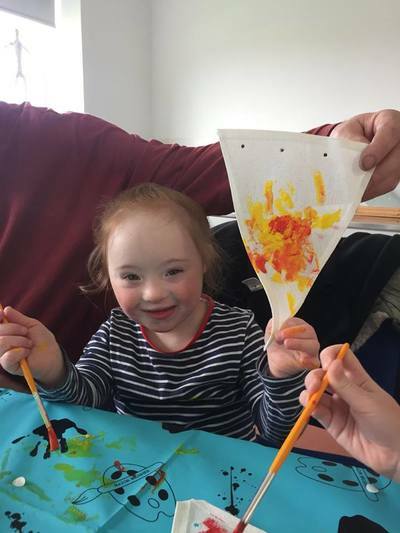 I wanted to use this idea to help people celebrate their own lives and achievements and raise awareness of he potential people with Down Syndrome have when given opportunities. 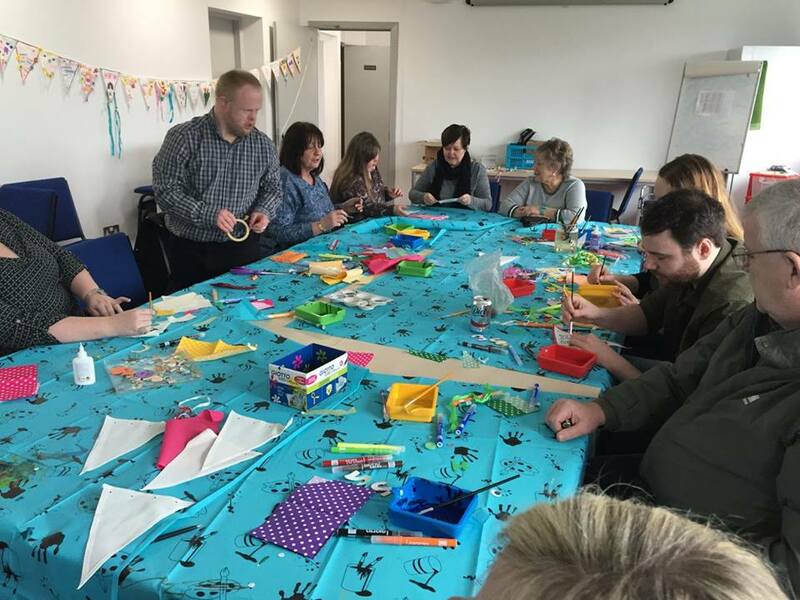 Supported by by Wellbeing Enterprises. This event was featured in local and national press in print and on television.